Am I seriously writing about planning for Christmas in July? You bet your bottom dollar I am. Well, I love Christmas (but that’s besides the point). 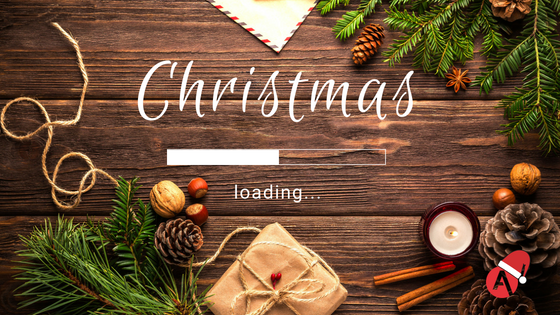 Christmas is that one date in your marketing schedule, that looms throughout the year. You’re constantly thinking, “oh we’ll work out what we’re doing for Christmas next month”. And next month rolls around, and what do you know? It’s December 1st and you’ve done sod all to plan for Christmas. The trouble with Christmas (and yes, there is a trouble with it) is that for some people, it lasts all. damn. year. If we take my own Father as an example, for my entire life he’d miss my birthday. Heck, he even nearly missed my actual birth… January 17th is apparently an important date for those in the horticultural industry. It’s not even a month since the previous Christmas passed, and garden centre buyers are swanning off to Germany or Harrogate, to trade fairs to plan for the following Christmas! The run up to Christmas starts earlier and earlier each year. And if we’re being honest, even the greatest lovers of all things festive can get a little fed up with it at a certain point. Before Halloween has had a chance to put its skeletons back in the closet, the aisles are full of Christmas fodder. It’s safe to say that it’s more important than ever to be proactive when it comes to planning your Christmas strategy, carefully thinking about what really goes into your campaign to make sure you’re getting noticed during this peak period. So, you’ve got a great idea? Good start. But, have you thought about which team members need to be involved to execute this? Has your agency been involved? Do you know what dates to/from this campaign will be running? And finally, how will you measure if this campaign has been successful? Planning your campaign is the most important first step, you should be planning strategies for campaigns throughout the year. But at Christmas, it’s even more important to get it right. For ecommerce businesses especially, prior to the festive period there’s a lot to take into consideration. Big shopping events, including Black Friday and Cyber Monday are incredibly important to drive traffic and revenue up and up. 1.4bn was spent by shoppers on Black Friday in 2017, up 11% on the previous year. The growing popularity of this event can’t be overlooked anymore, so planning is key to executing a successful campaign. This falls under the campaign planning too, but we’ve drawn it out as it’s so important to get the ball rolling on this as early as possible! Yes, we get that it might be a bit weird to be walking around the office in flip flops, whilst noticing your designer sneakily working away designing festive imagery and videos. During the campaign planning meetings, you will have an idea of exactly what needs to be done to see the campaign through to success. But, if the team hasn’t been briefed properly, chances are that the project could fall by the wayside with people not fully understanding what their role is. Creative teams are so important to developing projects throughout the year, often although they’re chipping away behind the scenes, getting on with the work, they will have some really great ideas. And it’s important that you learn how to grow these, you never know, it might end up becoming one of your most successful projects.